Atlanta Georgia festivals and events you can't miss! Atlanta Georgia festivals and events – Here is your complete list of all the top festivals and events for Atlanta this year. 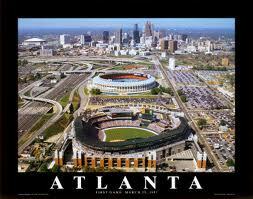 Atlanta is known as one of the best cities in the nation for festivals and events scheduling. Here is your list of all the top events in Atlanta Georgia listed by month. Select the event you would like to get more information on, where applicable and go to the festival page. The exact dates vary from year to year so please check the links where available to learn exact dates for current year. Click here if you would like to see all top Georgia festivals and events or to learn more about the Georgia State Fair. Festivals packages for Atlanta Georgia! To purchase this package, visit the paypal site above for checkout. If you would like to get more information visit our festival package information page. For purchase with credit card, please visit Prime Time Print Atlanta Georgia customized shot glasses page. Here are your top listings for events and festivals in Atlanta Georgia this January. Here are your top listings for events and festivals in Atlanta Georgia this February. Here are your top listings for events and festivals in Atlanta Georgia this March. Here are your top listings for events and festivals in Atlanta Georgia this April. Here are your top listings for events and festivals in Atlanta Georgia this May. Harmony Park is the site of this annual festival that started as a fundraiser to save the old Decatur train depot. Now, over 5,000 music and barbecue lovers gather annually to enjoy six hours of live acts and some of the tangiest, spiciest, juiciest barbecue anywhere in Atlanta. Located in Piedmont Park, this totally free event includes exhibitions, parades, ethnic foods and lots of music performances! You’ll also find tons of arts and crafts, family activities and sporting events as the city celebrates its Latino heritage! The whole family can enjoy a respite from the sun in one of Atlanta’s most historic neighborhoods. A kids zone features artists, crafts, storytellers, and musicians, while live music keeps mom and dad’s heads nodding all day. Take part in the 5K, or take a relaxing stroll through the artist market. Piedmont Park Arts Festival Piedmont Park Arts Festival – Atlanta’s green space art festival. This two-day festival celebrates visual arts and family fun in Atlanta’s signature green space. Up to 250 painters, photographers, sculptors, leather and metalwork, glass blowers, jewelers and crafters will display their work along the park’s many paths. This annual multi-media and pop culture convention celebrates science fiction, fantasy,comics,literature, art, music, film and more. Featured events include film festivals, concerts, parties, costume contests, exhibitors, a parade and much more. (If you are planning to attend and are looking for a good online selection of costumes and accessories, shop direct.) Also see: Atlanta Downtown Hotels – Compare Rates. Here are your top listings for events and festivals in Atlanta Georgia this October.